Our expert service teams have decades of experience working in the Real Estate industry. We’ve earned a reputation for accuracy, dependability, timeliness and flexibility. Our old-fashioned work ethic means we do it right the first time, and on time. Our state-of-the-art paperless technology makes your transaction seamless, fast, and manageable from anywhere in the world. Summit Title provides settlement services and title insurance throughout Maine, Massachusetts & New Hampshire. Call us today and get the help you need to fulfill your property ownership dreams. Our teams work together to provide accurate, dependable and timely service on every transaction. You need a trustworthy partner who understands your needs. Buying a home? Summit Title Services is here for you. Selling a home? 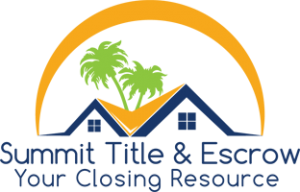 Summit Title Services is here for you.